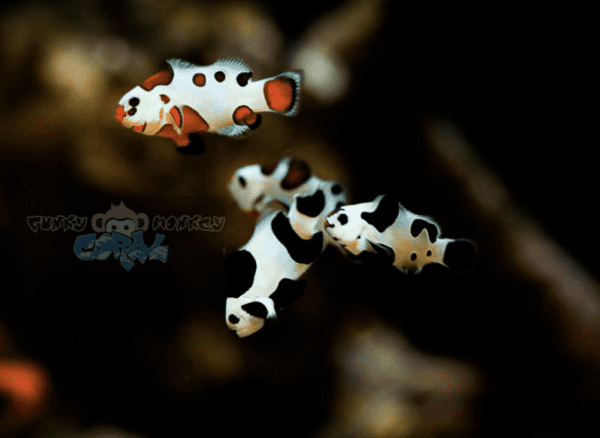 Originally a one in a million mutation, the Black Storm Clownfish is the product of a Sea and Reef Da Vinci Clown with a jet black Ocellaris Clown. From their offspring came one mutation. This rate mutant version of the DaVinci Clown then bred with another jet Black Ocellaris clown and a new species was born. The Black Storm Clownfish is generally peaceful and very hardy. They are true omnivores as their diet includes copepods, amphipods, pellets, flakes, fortified Brine Shrimp, Mysis Shrimp and more. Anemones are not a requirement, however they do occasionally host Bubble Tip Anemones. Ocellaris Clownfish in the wild host large and sometimes difficult to care for Anemones. 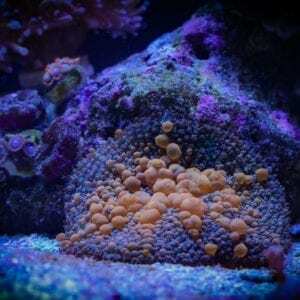 This includes the Giant Carpet Anemone, Sebae Anemone as well as the Magnificent Sea Anemone. Although they bicker from time to time, they are not nearly as aggressive as Maroon Clown species. They are a great beginner fish and the Black Storm Clownfish does not need a particularly large tank. They are also relatively easy to pair if added to the tank as juveniles and at the same time. 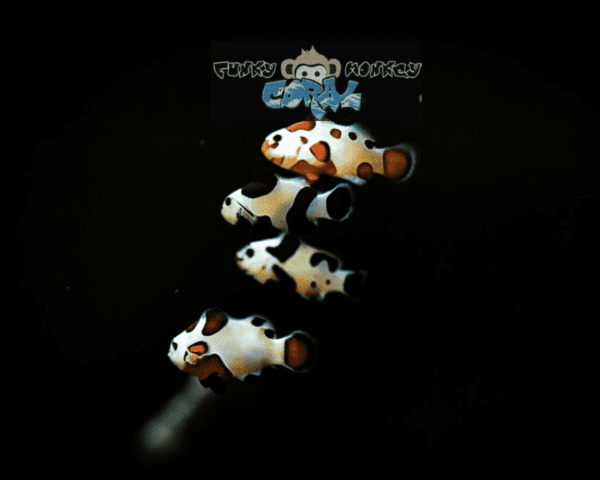 The Black Storm Clownfish is one half of another new species of Clownfish. 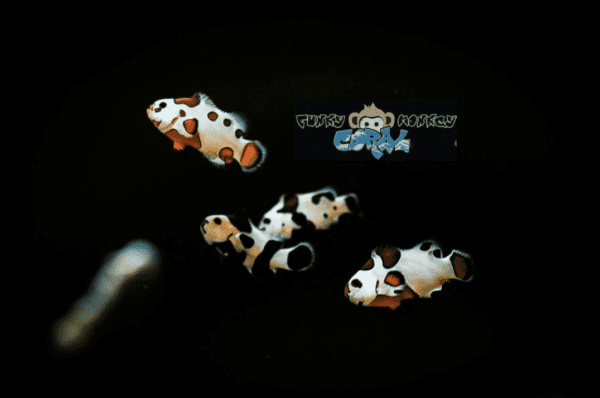 The Black Storm and a bright Orange Ocellaris Clown crossbred to become what is now known as the Mocha Storm Clownfish.